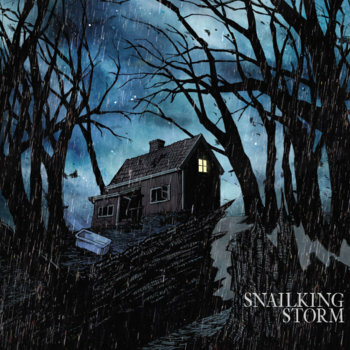 Snailking return with their 53-minute debut album - Storm. A blistering and heavy onslaught of heavy spacey cosmic Doom/Sludge Metal riffs that owes more than a nod to Ufomammut, Yob, Electric Wizard and Black Sabbath. Snailking first impressed the heck out of me back in 2012 when I reviewed their debut EP. Though Storm blows it out of the water. As this is a heavy, monstrous affair packed full of epic spacey doom and gloom Sludge/Stoner Metal riffs to get the pulse racing. If you are a fan of Monolord and loved their debut album then this album is going to turn your whole world upside down, as it did with mine. 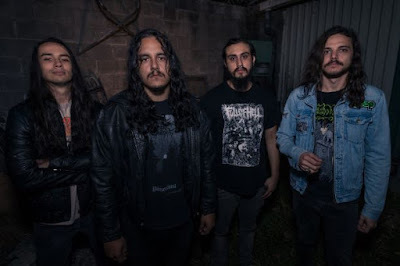 Opening track - To Wonder - shows what is Snailking are all about as they unleash an unstoppable torrent of heavy distorted amounts of fuzz drenched Doom/Sludge/Stoner Metal vibes to get you into the Snailking mood. The vocals feel like distress signal in the darkness, as the instruments are the main focus here. Snailking turn the atmosphere into a cold, bleak and desolate existence where your only salvation is their crushing music taking an age to rescue you. Distortion, Feedback and Fuzz is the key here. If this song does not make an impression on you then it is best to turn back as Snailking do not change course for the rest of the album. Apart from becoming heavier and doomier as times passes by. Storm can be exhausting to listen to at times as Snailking pulverize your hearing with their blend of heavy epic slabs of distorted music. Though at the same time it is an exciting ride to see you if can survive through it all as Snailking write epic songs ranging from 6 mins to an incredible 17 mins in length. 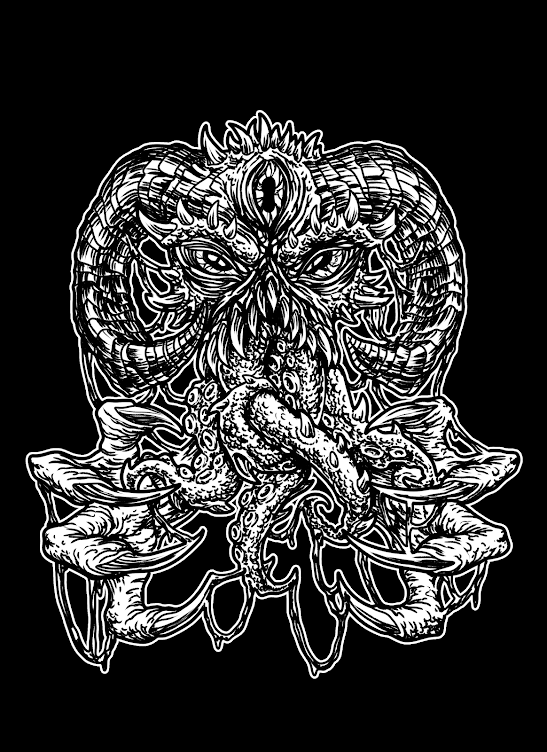 The production on the album has a very raw and organic feel to it compared to other high profile releases such as YOB and Pallbearer. Not that it is meant to sound like those two excellent albums. Storm is a bleak and a very lo-fi affair that is big on volume and dynamics that you can feel through every single moment of this huge album. Second track - Premonitions - carries on the creepy doom and gloom aspect once again drenched in dangerous fuzzy feedback guitar worship with the vocals adding a more menacing effect to the album. Things become slightly creepy and psychedelic as Snailking add elements of different noises to keep you firmly on the edge before unleashing a loud and violent epic riff that brings you crashing down to earth. After the ISIS influenced track of Slithering has left you on tenderhooks once again, Snailking unleash the albums standout track - Requiem. A blistering 17-minute track that combines ambient-based sounds and the heavier sludge/doom/stoner metal sounds already created from the albums earlier tracks. Requiem is a pulsating experience as Snailking unleashes the HEAVY on a grand scale. This is where the album truly comes to its own existence as Snailking create more deafening volumes of distorted riffs. Storm is an intense and richly rewarding experience that you will be reliving for a long time to come. Snailking have created something special here. If you are into long drawn out epic and heavy as heck Doom based Sludge/Stoner Metal then this is as good as it gets. Storm is incredible. Thanks to Viral Propaganda PR and Consouling Sounds for sending us a promo to review. Storm will be available to buy on CD/DD/Vinyl from Sept 15th 2014 via Consouling Sounds.